Keep up with our latest projects and what’s happening in the industry. We’ve been growing steadily over the last few years and like many businesses we have evolved in line with how the market has moved and changed. It’s been an exciting time and we’ve expanded in to many new areas while consolidating our expertise in others. Our key goal is to maintain our ability to provide the Customer with the high quality of service and installation they are used to and expect, while facilitating managed growth within the company. In tandem with the evolution of CET, we felt that it was time to allow our brand to evolve too. We are proud of how far we’ve come and we didn’t want to lose that. 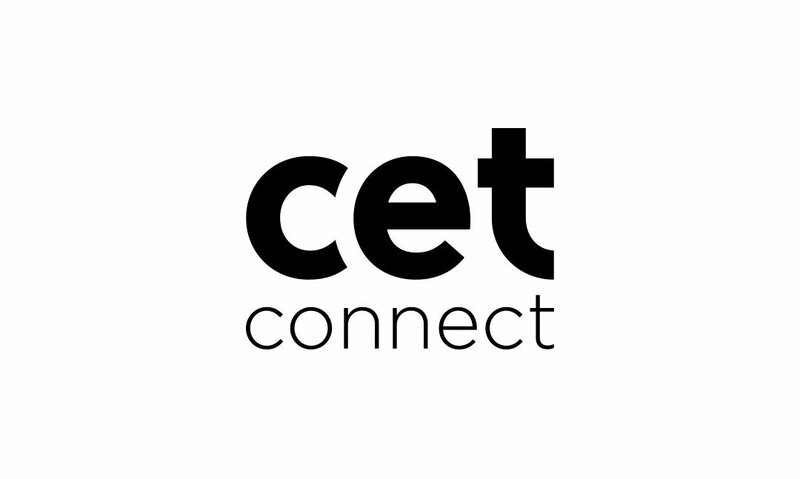 Our valued customers and suppliers know us as CET. But we felt it needed something else. Several conversations and explorations were discussed around the office. We even bounced the name off a few experts in the area too. In the end, we decided to keep it simple. We kept our CET but we’ve added something extra. We’ve added the word “Connect”. It reflects our industry and the fact that what we do helps connect technology and the world to people and it also expresses our commitment to partnership. We’ve grown the business because of our partnerships with clients and suppliers. They are the reason we are where we are. We appreciate that and this new name is a small thank you for that. Every new name needs a new brand and we hope you like the sneak peek of our branding featured here. It’s the black and white version of the finished brand.